Duralok continuous commitment to research and development has resulted in a PVC formulation specifically designed for Australia's harsh conditions. Duralok PVC formula uses only Virgin PVC combined with its own proprietary Australian designed Ultraviolet (UV) protection. 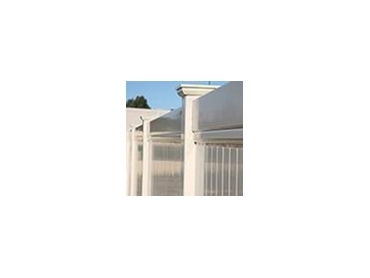 The high strength to weight ratio together with exceptional resistance to corrosion or chemical attack makes Duralok PVC formula ideal for major and simple fencing applications.